An Insiders Guide to Great Opening Lines for any MC or Speech. A great Opening Line should aim to accomplish two things. Grab the attention of the audience and create interest of what is going to happen next. You know, Great Lines for MCs and Speakers – Ideas, Sayings, Quips, Opening Lines and Snippets are all around us! You just have to be Aware & Ready to grab them and Store them away for later use. 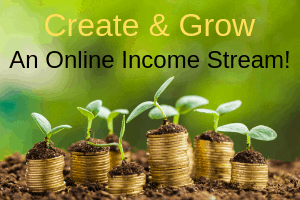 Rather than desperately trying to research something on the Internet or in a book at the last minute, make the conscious decision Right Now to start collecting your OWN. I call it a Resource Book and it really is the MC’s and Speaker’s Secret Weapon. You need to do a little bit of study first, just to see the types of things that work for an MC or Speaker. Then you need to start collecting and have a system. You also need to be a bit confident that you can spot useful material. After a while, as you become more confident about what works and the structure they need to be useful, you can start writing and modifying your own material. I’ll include some links to some great training material later in the article. I’ve been writing down Great Lines for as long as I can remember, I’ve got cupboards full of them. I’ve even got my Dad’s old exercise book full of quotes that he used to use in training presentations 50 years ago. So, Two Main Points in this first section. And as a Speaker, it’s also often useful to Open with a provocative statement or strong quote to grab peoples attention right at the start of your presentation. We can also often use them to help illustrate the points we are making or to break up more serious sequences. These are the sorts of things you should be collecting. I’m also on the lookout for very quick funnies that you can slip in if needed. The use of Jokes and Short Funnies is tricky and requires a deft touch. I come from a performing background and worked for many years in Stand Up Comedy Clubs, so I know more than a lot of people about this, but even with that background, I’m still wary of telling the wrong joke. If in doubt, leave it out. The guideline I follow is, I always try and make the point or the topic of any jokes relevant to the surroundings, the theme of event or the subject matter of speech. Leave the “funny for the sake of funny” jokes to the comedians. Where can we find Great Opening Lines? So where do we source this material? Well, it’s all around us! Here’s a good start list. As you are reading watching and listening, be ready to notice useful material. Politicians, commentators, journalists and performers all use these types of things as their “tools of trade.” You should too. Thrift & Charity Shops etc. I’ll always pop in and check the humour or writing section of shops like this, as good collections can be snapped up for tiny amounts. Look for books of quotes, 101 sayings etc. Make notes the very first time you read through a book. If you are anything like me, with a lot of books I buy I will often skim through, reading bits and pieces and then come back to the book later and read it properly. The trap with joke and quote books is that the impact is sometimes lost when you read something a second time. A clever line or quip, just does not seem as good the second time through and some useful material can be lost. So I always suggest, even if you just skim through a book, you make notes immediately. So the Next thing you need is a way to capture and store these ideas. 1/ I always suggest every MC and Speaker carries a NoteBook and pen with them at ALL times. I know Pen and Paper seems so “Old School” but in many ways it’s a lot faster than digital. I used to belong to a great Mastermind group and when it came time to schedule our upcoming meetings, the two of us who used hard copy diaries would be sitting there waiting for minutes while our “digital” colleagues, rummaged around, opening apps, navigating to different screens etc. Once you have your system in place, if you hear something clever on television, see a funny bill board or think of something in the middle of the night you can capture it. An alternative to a small notebook is a small stack of index cards. These can be clipped together and can form a very modular system for notes, projects, goal keeping etc. 2/ Obviously a small Notebook is going to fill up eventually, so you also need to keep a larger Word Document on your computer. This is your Resource Book! You can then schedule a weekly or monthly transfer from the Notebook into that growing Document. Just schedule that as one of your Monthly Office Tasks. You will be amazed how quickly it grows after just a few months. 3/ The third approach is to go completely digital and use something like Evernote. Or just use the Master Document and something like Dropbox to store it. What I love about using a Pad AND the Computer file, is that every 3 months or so, I print the whole thing out, bind it up with a comb binder or a bulldog clip and take it with me to every assignment. Then I can just flick through the book while at the assignment and remind myself of the material. Often during a presentation, you may think of something that will fit as a Thank You or Linking moment. I also use the printed Resource Book to keep notes in during the assignment! I usually bind 5 or 6 blank sheets of paper into the back and this can be very useful! I record the “bits” I used with a particular client, in case I get rebooked with the same group. Also to make To Do lists, record interesting facts or websites to check out etc. so be ready to jot it down as soon as you can. Once again, schedule a session in your Post Assignment Checklist to transfer any notes and update the master document. There’s also other things that you’ll want to keep in your Resource Book aside from the collection of Opening Lines. 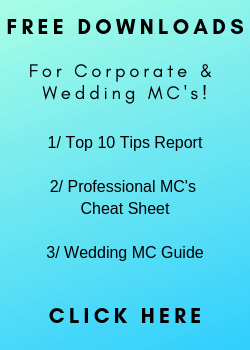 You might want to keep a copy of the Professional MC’s Cheat Sheet! That’s saved my bacon many times when I’ve needed a question to ask a speaker or had to run a panel session on a topic I didn’t know much about. I also keep a series of Check Lists that I use when I’m packing to go to an assignment. Timecards, Phone Chargers, Flight details etc. Filler Material is another thing that you can keep in there. What if you need to fill in 15 minutes because the CEO is running late? What if the last speaker before lunch only does 15 minutes and you were expecting 45! And lunch is not ready! What are you going to do? These things happen ….. all the time. So I keep a list of Filler Material I can do in those situations. The main thing is to Start gathering your material now, be aware of the material all around you and have a system to both capture and access it. 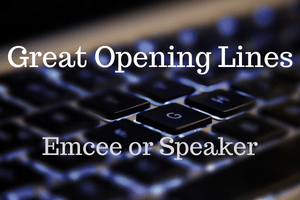 A small selection of Great Opening Lines for Emcees and Speeches. My job is to talk to you, and your job is to listen. If you finish first, please let me know. After such an introduction, I can hardly wait to hear what I’m going to say. I’d like to introduce a man with a lot of charm, talent, and wit. Unfortunately, he couldn’t be here tonight, so instead . . .
I’ve been lucky enough to see the talented Patricia Fripp present on a number of occasions both in the USA and here in Australia. I’ve even attended an intensive presentation workshop with her. These example Opening Lines are from her sessions. Don’t you just want to know what happens next??? These absolutely nail the objective we outlined at the start, grabbing attention and creating interest and can be used by both MC’s and Speakers. But what if you can’t wait for 20 years to build up a great collection of Opening Lines? Well grab a copy of ours! 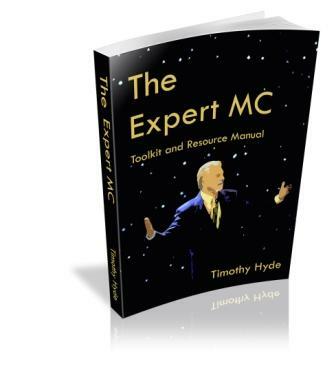 The Expert MC – Toolkit & Resource Manual is now available! A 120 page collection of Jokes, Lines, Quotes, Activities, Stories and Filler material that you can slot into any MC assignment. These are the glue that holds your MC work together. Fun introductions for guest speakers, linking material and touching Thank You’s. Why wait for years building up your own collection when you can have this collection right now. 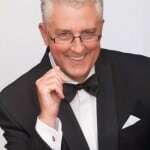 I’ve been an Expert MC at events all over the world for the last 20 years. Assignments in the USA, Hong Kong, New Zealand, South Africa and every possible city in Australia. These have ranged from huge Corporate Conferences, large and small Association events, Government Forums, Community and Social Events etc etc. My Resource book is packed with little nuggets of gold. It’s packed with the material that I personally use out in the real world in my work. If it’s in the book, it means I’ve used it many times, in some cases hundreds of times. And now I’m making it available to you! Filler Material – What do you do if the Keynote Speaker doesn’t turn up? Turn to this section! Quotes – An appropriate quote is great for linking moments, thank you’s and framing speakers. We have pages of them sorted into catagories like – Advertising, Banking, Awards, Drinking, Exercise, Memory, Success, Attitude, Motivation, Creativity & Innovation. Lines – We need to Introduce people, Thank them, Close Sessions and deliver Housekeeping information. Here are lines that you can add to your script, to add fun, impact and help deliver the message. There is also a huge section of Advice on being an Expert MC. These tips are not just from me but also from 5 other full time presenters, so you get a large range of advice and experience. Full information on the Resource Book here!